It is automatically assumed that having lots of choice is always a better option, but sometimes choice can actually be a very confusing thing. Whilst choosing between hundreds of brands in your local supermarket is generally a choice that we can make without a large amount of time or effort going into the decision, there are certain times when having too much choice can be very overwhelming. And when that choice involves a large investment of time and money, too much choice can almost put you off purchasing. So when it comes to choosing your perfect worktop for your kitchen, we’ve created this blog post to help you make that choice slightly easier. The first thing you need to decide on is what material you want for your surface. For this we would recommend a few different materials for consideration, including; Marble, Quartz or Solid hardwood. 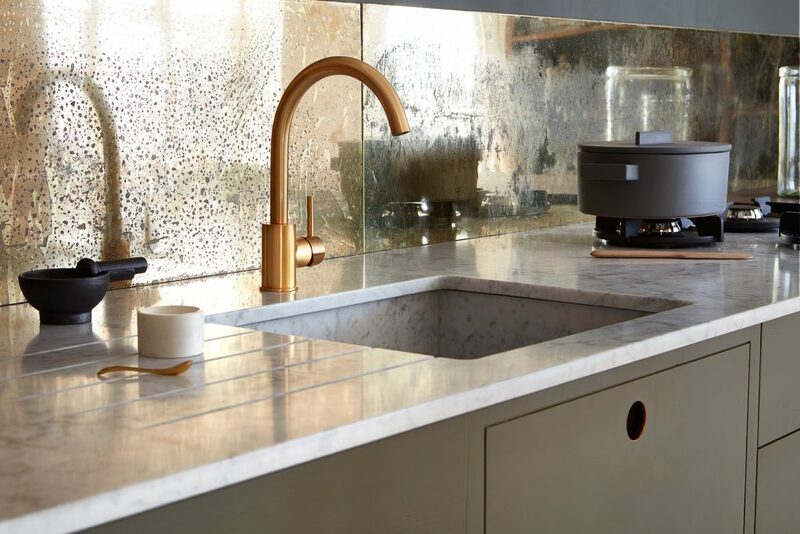 We are by no means experts in Marble or Quartz, but after years of recommending these materials to our kitchen clients, we’ve learnt a few things over time that may help you. Solid hardwood however, is where our skills really shine. Carrara Marble is a worktop material that we often recommend to our clients through our sister company- Naked Kitchens- as it is a beautiful material that really makes a statement in a kitchen. Created in the Italian region of Carrara, this marble, when simply polished to give a high shine can be a work of art, and the elegant look of this material will forever make your kitchen look timeless. The naturally low temperature of this surface is also perfect for baking. However, there are certain things that can impact the beauty of this material; anything acidic will mark the surface, so spillages have to be wiped up quickly. Care should be taken with liquids such as red wine, coffee and juice, as these can easily stain the marble. The surface can also easily be scratched with heavy items or sharp metals, so whilst the material is beautifully strong, it cannot be taken for granted that it will never mark. But we think that sometimes this is where the beauty truly lies in a kitchen; seeing marks where children have spilt their drinks or guests have forgotten to use that coaster you insisted upon them, really shows the love and happiness that has happened within a kitchen. Quartz is a beautiful hard wearing material that is a great alternative to marble. Available in a large amount of colours and being a non-porous material it is incredible hygienic, as no odours or bacteria can penetrate the material, making it a perfect option for a kitchen work surface. Quartz has an absorption level of virtually zero, meaning it is waterproof and liquid resistant, which is a brilliant option for a busy family kitchen. We think that a white coloured Quartz looks particularly stunning in a kitchen, and makes a great alternative to Carrara marble. Disadvantages to this material include the fact that it is not heat resistant, meaning the Quartz may crack with thermal shock if exposed to intense heat like hot pans or dishes. It is also likely that marks or discolouration will occur with any heat contact such as hot cups of tea or coffee. Now this is a material that we really are experts in. Adding a beautiful warmth and natural feel to a room, solid timber worktops can be a luxurious choice for many. 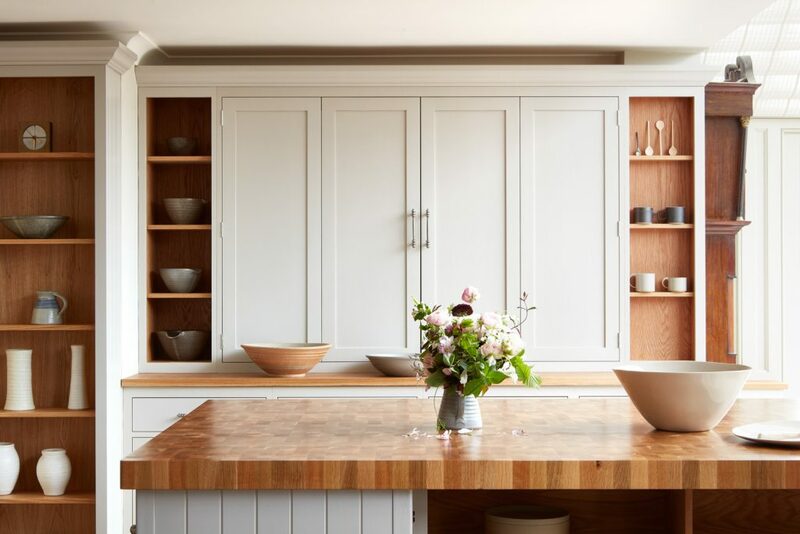 And as manufacturers of bespoke, solid hardwood worktops we have certain materials we love to work with that we think add an incredible element to a kitchen. 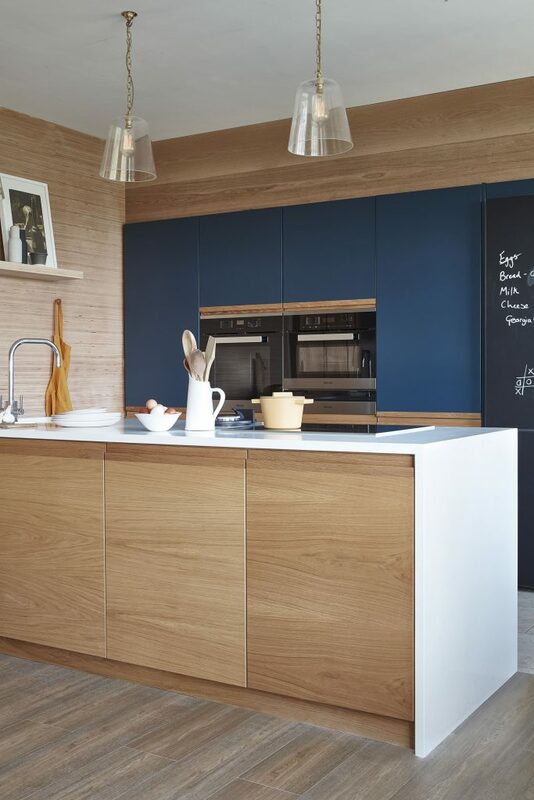 Solid timber is an incredibly hard wearing and tenacious material that, as long as installed correctly and treated well, will last for the longest time and will continue to look incredible in your kitchen. Another advantage of using timber is that if you do get marks on your worktops, by sanding the affected areas and re-oiling, you can make your worktop look almost exactly how it used to. Whether it’s our signature super stave planks which show off the incredible grain pattern of our American White Oak, or the incredibly hard wearing Oak End Grain worktop, we think that Oak is an amazing addition to a kitchen. Oak is a beautiful material to work with and the incredible furniture grade Appalachian Mountain Oak we source, shines brighter than any European Oak we’ve ever tried. With a white wash finish, a beautiful relaxed feeling is created, even giving an incredible coastal vibe to some spaces. Oak can make any space feel like a classic country kitchen, and with our Nano-coating finish, it will be incredibly long lasting and durable. Injecting a beautiful intense feeling to a kitchen, Walnut adds an incredible sophistication to a space. Our American Black Walnut, is of such high quality, just like our American White Oak. The Walnut that we use has such an elegant, delicate grain, it seems impossible for it to be such a strong and durable timber. With the beautifully complex grain pattern, Walnut adds something so unique to a kitchen and really does make a room incredibly special. 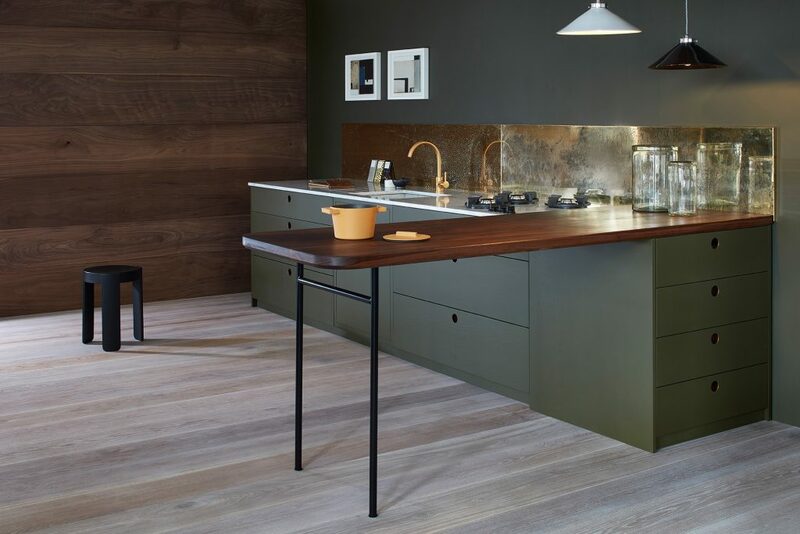 Alongside being incredibly durable, our Walnut worktops are completely sustainable making it a more environmentally friendly choice for your worktops. The Walnut worktop is available in many different styles including; super stave, wide block and end grain. Check out our Instagram, Twitter and Facebook Page for more information and pictures!